Galloway Township has settled another lawsuit and further agreed to pay out $92,000. 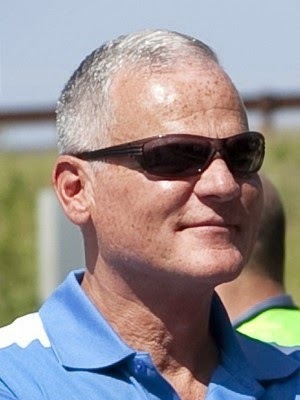 The recipient of the payout was former Township Manager Stephen Bonanni. Bonnani filed a lawsuit against the Township and Mayor Don Purdy in September 2013. The settlement which was made in November 2014 agreed to pay Bonanni $92,000, and in turn Bonanni agreed to dismiss all claims against the Township. The lawsuit filed on September 26, 2013 in Atlantic County Superior Court alleged fourteen (14) counts which includes Breach of Contract, False Light Privacy Invasion, Defamation/Slander Pre Se and Conscientious Employee Protection Act, to name a few. According to the filed complaint, Bonanni was an employee of the Township from June 25, 1979 until his retirement on January 31, 2012. During his employment, Bonanni earned sick and vacation days pursuant to Township Code and Laws of the State of New Jersey. Upon retirement unused sick/vacation time were to be paid to Bonanni in one lump sum. On February 12, 2013, Council voted to deny Bonanni $51,765.24 of unused Vacation, Sick and Compensatory time. That denial resulted in a Tort Claim being filed against the Township, Mayor and Council on March 4, 2013. On September 10, 2013, Galloway Council later voted to pay Bonnani, however Bonanni returned the payment back to the Township and filed a lawsuit. Bonanni was represented by Galloway based attorney, Benjamin B. Brenner, Esq. The lawsuit was later moved to Federal Court according to a 'Notice of Removal' filed on October 23, 2013 by Woodbine based attorney Allan E. Richardson Esq., the lawsuit was requested to be removed from Superior Court and transferred to the United States District Court in Camden due to Federal Claims listed in the lawsuit. Richardson represented Purdy and the Township of Galloway. Mayor Don Purdy was later dismissed from the lawsuit leaving the Township as the only entity left as a Defendant to settle. According to documents recently released by the Township, the Township finally paid Bonanni the $51,765.24 on November 12, 2014, the same day the Township agreed to settle the lawsuit against Bonanni. Galloway Township News attempted several times since November 2014 to obtain a copy of the settlement agreement, however the Township refused to release a copy. After one last final attempt to obtain a copy without initiating litigation, Acting Township Clerk Kelly Danieli finally released the agreement on January 2, 2014 by stating "Pursuant to the direction of defense council in the matter of Bonanni vs. Galloway Township, all issues related to the settlement have been successfully resolved and the settlement agreement is now final." So is this $51,765 plus $40,200 in legal fees, or is it $51,765 plus $92,000? He was paid and refused $51,765, what was to be gained by suing the Twsp? How much did JIF pay and how much is the Taxpayers Burden?